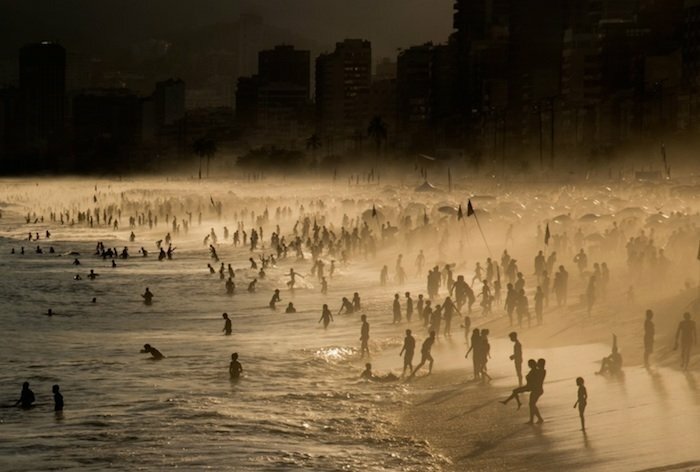 It was not a typical day on the beaches of Rio de Janeiro. “The sea was very rough and the undertow was very strong. The bathers were hesitating to get into the sea,” recalls photographer Sandra Cattaneo Adorno. Her photograph of the scene, above, was named a winner of the Latin American Fotografia 6 competition. Adorno, who is based in London, has captured the atmosphere of Brazil throughout her work — reflective compositions from Ipanema Beach, silhouetted vistas of street life — as well as scenes from Cuba, Portugal, Mexico, Jordan, and Israel. 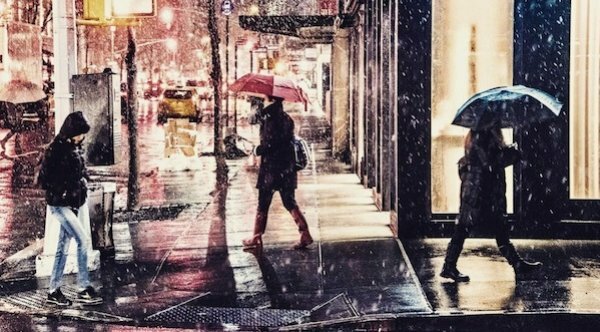 It is wonderful to contrast her images of sunny, sensuous Brazil with her shots of snowy, cold New York City. Another location she has photographed is London, where she is based. Her portrait of a woman in Sloan Square, below, was also named a winner of LAF 6. 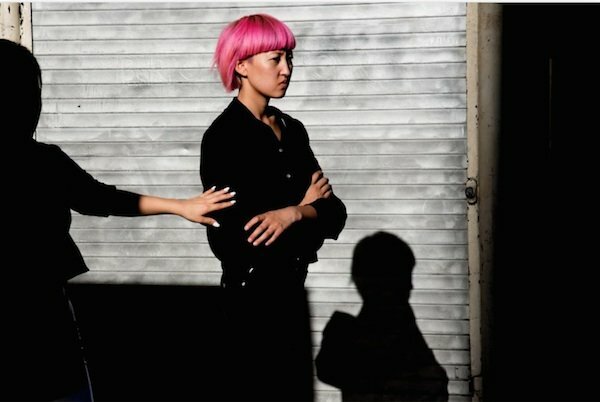 It is part of a series capturing people as they emerge from an underground station and walk into the light.